With the UK government striving to ensure as many homes as possible are using smart meters by 2020, there is a huge and growing demand for qualified smart meter engineers to carry out the tens of millions of installations required as well as the associated repairs, maintenance and customer engagement work. In 2009, the European Union stipulated that 80 per cent of UK households should be fitted with smart metering technology by 2020. In response, the UK government launched an ambitious programme which aims to install smart meters into every one of the country’s 27 million homes by the 2020 deadline. 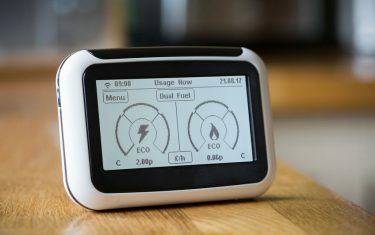 Smart meter technology comprises the smart meters themselves, portable display screens (for customers to monitor consumption and energy spend) and a communications hub. The hub transmits two-way near real time energy usage data, over a secured network (the DCC), between energy consumers and energy companies. This will assist with accurate billing, efficient and intelligent energy consumption and a reliable service connection. The smart meter delivery programme, which is already being implemented by all energy companies has opened up plenty of opportunities for both existing energy engineers and those new to the industry to give their careers a boost. Qualified smart meter installers can expect to earn between 16k and 40k per year and to be supplied with a van and state-of-the-art tablets for booking jobs. Many employers are also offering attractive pension and share save schemes with some even offering to refund training fees. Although most employers are looking for installers who are able to install Dual Fuel meters, there are also limited opportunities for those who can specify in either electric or gas smart meters. Once smart meter engineers have spent time in the field there are often senior roles available with installers progressing to become smart meter coaches, inspectors and project managers. Every employer will have slightly different entry requirements but most will insist candidates have at least four GCSEs and hold a valid driving licence. Due to Ofgem’s insistence on high standards of customer service, prospective installers will also be expected to demonstrate excellent communication skills and to have a positive, customer-focused attitude. Installers will be in charge of their own workload so will also need to show that they are organised and self-motivated in their work. 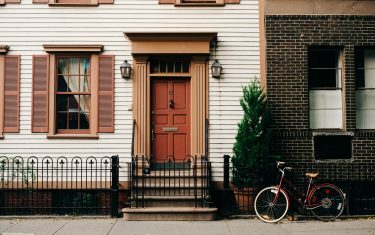 The basic role of a smart meter engineer will be to safely remove existing energy meters and to install and test smart meters; some work may take place outside customers’ properties. Engineer’s will also need to educate the homeowner in how their smart meter works and how to use their portable display screen to monitor, understand and adjust their energy consumption. Whether you are already working with an energy company or looking for an exciting new career path with a guaranteed job at the end of it, ECTA Training can help. As one of the UK’s leading suppliers of industrial skills training, and with a dedicated smart meter training facility in Stockport, ECTA are currently offering diplomas in either Dual Fuel or individual electric or gas smart meter installation. Our diplomas mix classroom-based theoretical and practical learning with real ‘on-the-job’ installation experience alongside a mentor. Although course duration will vary depending on your requirements, most Dual Fuel diplomas are taught over a 14 week period. ECTA have struck up a partnership which will ensure a ready supply of candidates to meet the smart metering demand while enabling ECTA trainees to work on-site during their course.